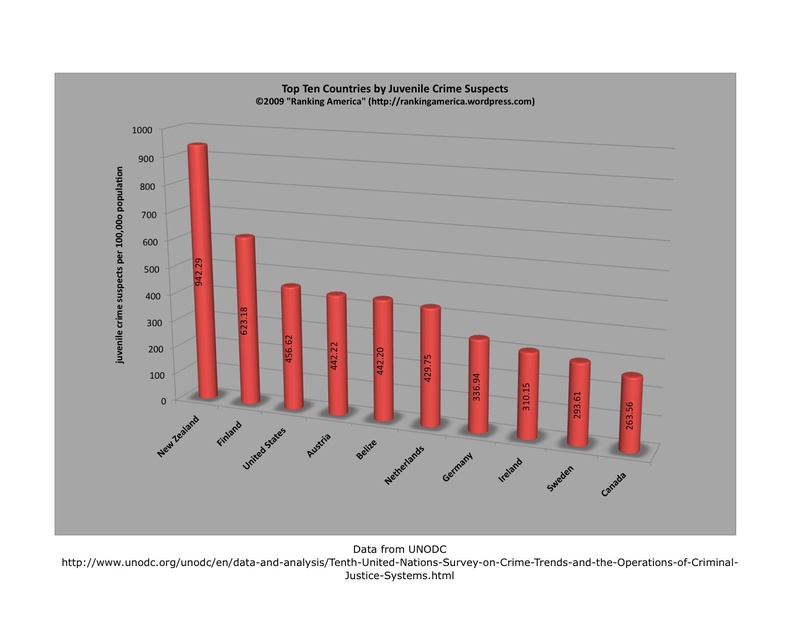 According to the United Nations Office on Drugs and Crime, in 2010 the United States had a homicide rate of 4.8 per 100,000 people, enough to make the United States rank forty-third out of eighty-seven countries ranked in that category. 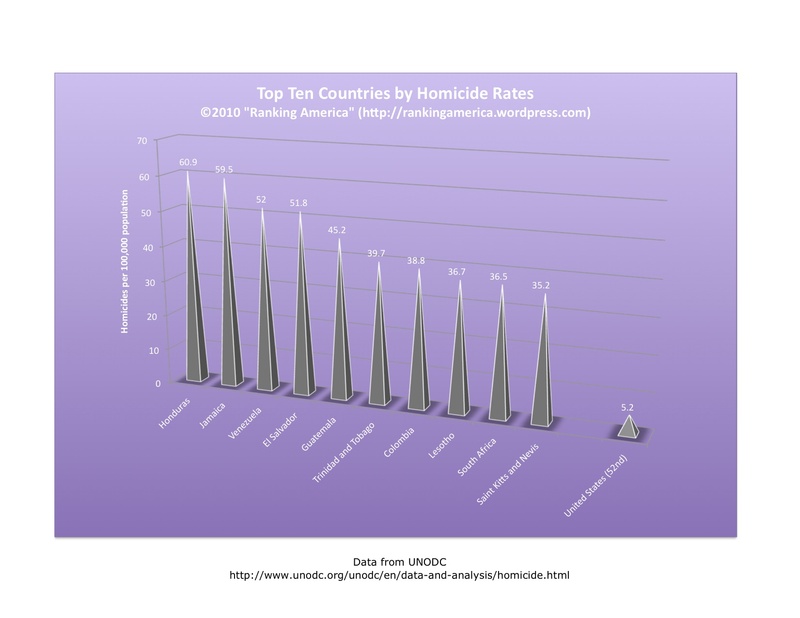 Honduras ranks first, with a homicide rate of 82.1 per 100,000 people. 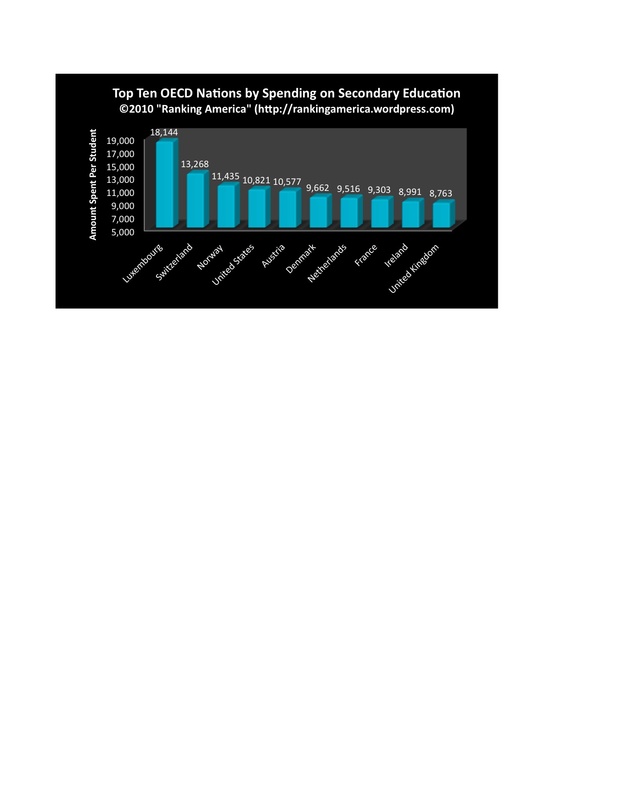 According to the United Nations Office on Drugs and Crimes (UNODC), in 2010 there were 14,748 intentional homicides in the United States, enough to make the United States rank seventh out of eighty-seven countries ranked in that category. India ranks first, with 41,726 intentional homicides in 2010. 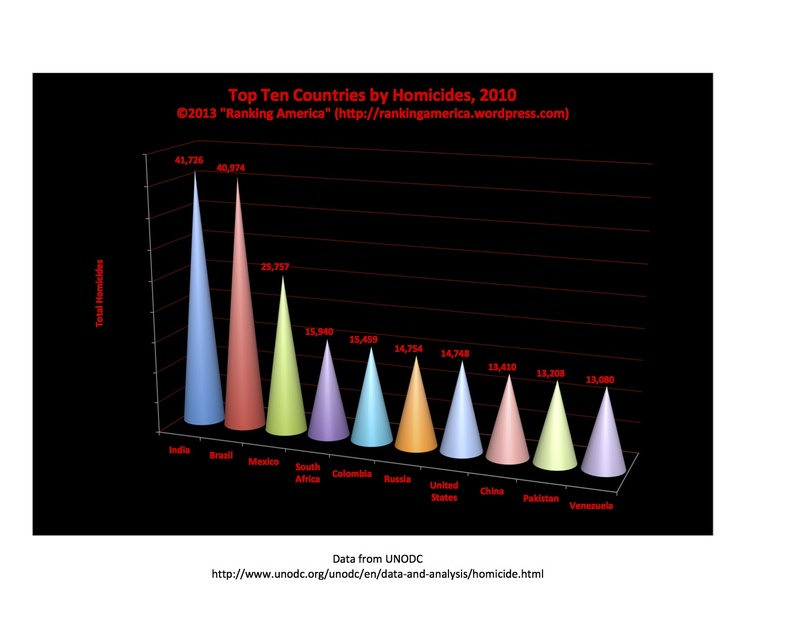 According to the most recent data made available to the United Nations Office of Drugs and Crime, the United States has a homicide rate of 5.2 per 100,000 people, which makes the United States tied for fifty-second with Argentina out of one hundred thirty-eight ranked countries. 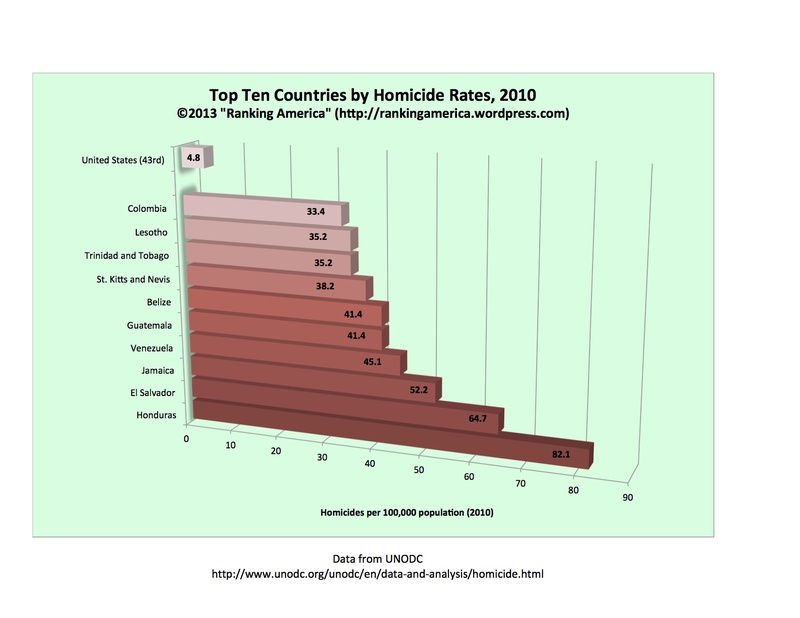 Honduras ranks first, with a homicide rate of 60.9 per 100,000. 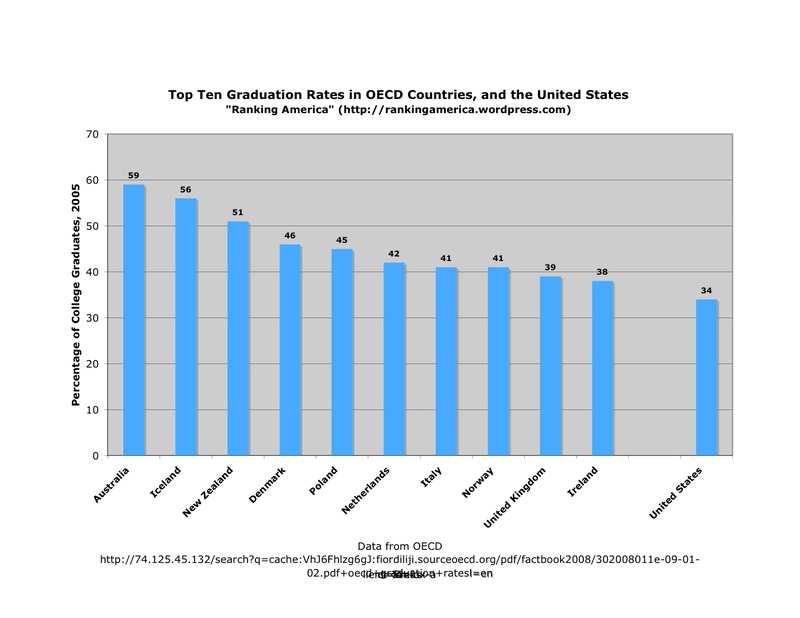 According to data gathered in 2005 and 2006 by the UNODC, the United States has 456.62 juvenile crime suspects per 100,000 population, a rate that makes the United States rank third out of sixty ranked countries. 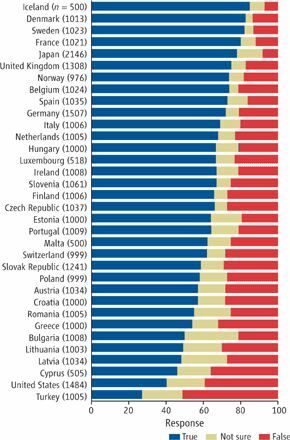 New Zealand ranks first, with 942.29 juvenile crime suspects per 100,000 people. According to the 2007 UNODC World Drug Report, “Mexico and the USA may be the world’s largest cannabis herb producers” (page 104). According to the 2008 UNODC World Drug Report, cannabis production in Mexico was estimated at 7,400 metric tonnes, and cannabis production in the United States was 4,700. Thus, the United States ranks second in cannabis herb production. 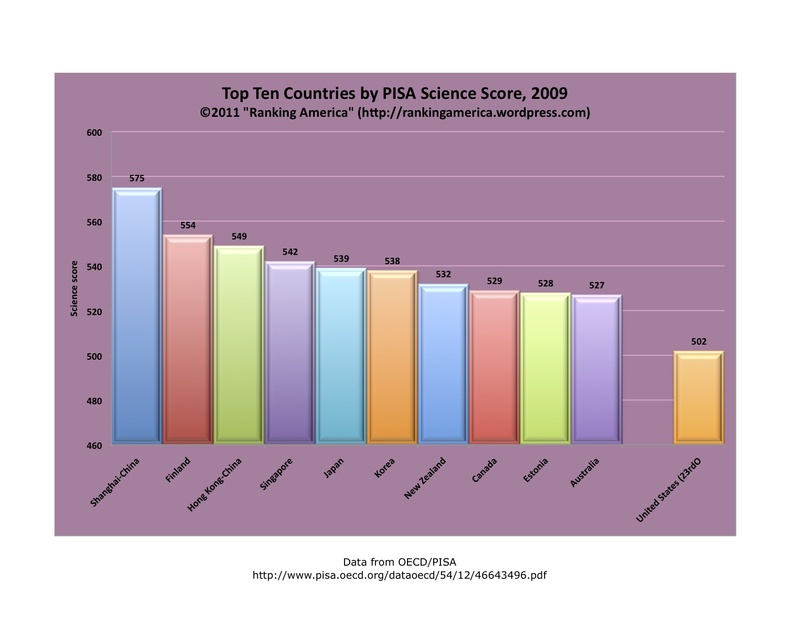 Mexico ranks first. 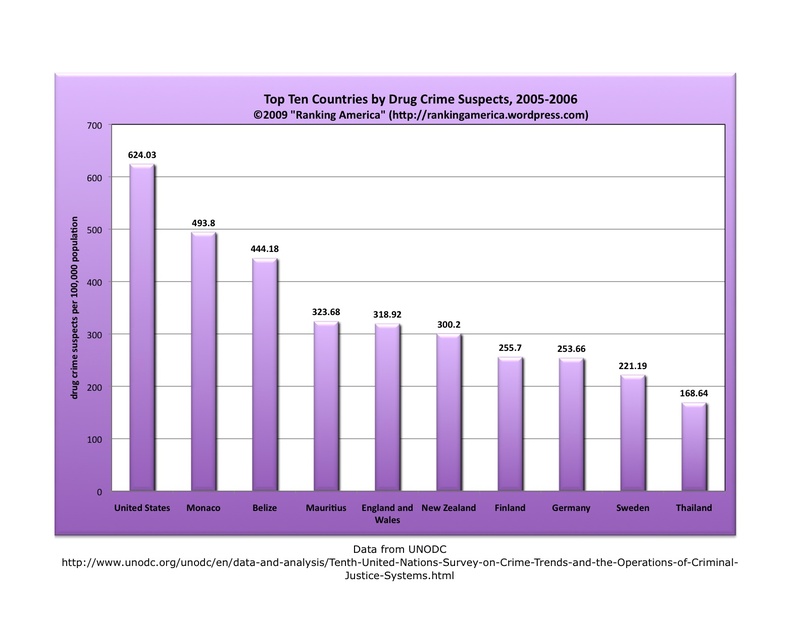 According to data collected in 2005 and 2006 by the Tenth United Nations Survey of Crime Trends, 624.03 out of every 100,000 Americans is a drug crime suspect, a rate that makes the United States rank first in that category. 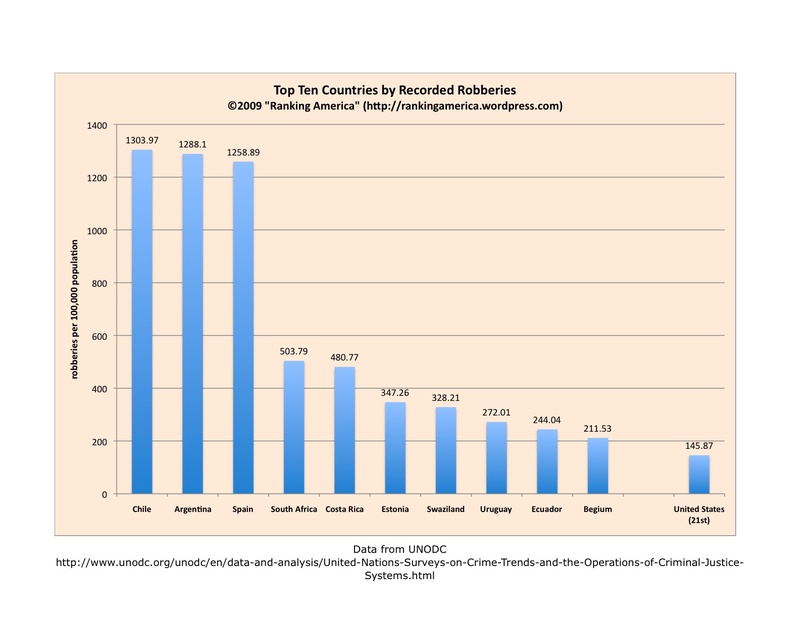 According to data gathered between 1998 and 2006 by the periodic United Nations Survey of Crime Trends, the United States recorded a robbery rate of 145.87 per 100,000 people, which makes the United States rank twenty-first in that category. 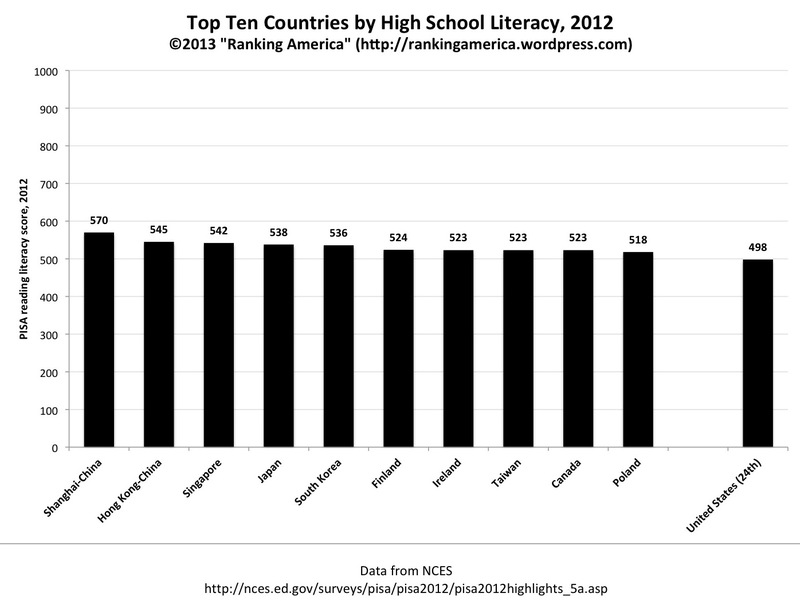 Chile ranks first, with a rate of 1303.97 per 100,000 people.